On the Hill Summer, brought to you by The Steadman Clinic and the Steadman Philippon Research Institute, brings you a video report about a different Lake Tahoe adventure every day. Today’s activity: Hiking Horsetail Falls. 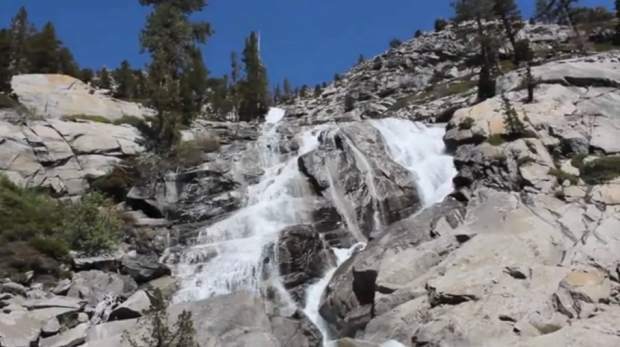 About the hike: Really one of the most noble waterfalls in the region, Horsetail is magnificent in early spring, but continues to impress well into summer. Visible from Hwy 50, the falls rumble 500 ft down and are aptly named. With a distance of only one mile, it’s a very strenuous climb, taking about an hour and requiring some scrambling. Getting there: Driving west from South Lake Tahoe on Hwy 50, the trailhead begins two miles east of Strawberry, at the Twin Bridges parking lot. After parking, follow the signs to the wilderness boundary. There, you’ll need to fill out a permit to continue up to the waterfall, since Horsetail once again heads into the Desolation Wilderness.